The day started with a tour of the Air Traffic Control Tower where they control everything happening on the ground and for 10 miles around the airfield. They couldn’t see anything out of the windows for thick fog but it made them realise what an amazing job they do in getting the aircraft and passengers in and out of the airport safely. The police then let the boys climb into their vehicles and set off the sirens and lights which they thought was great fun. Maxwell definitely is a policeman in the making! Lunch was very kindly provided in the Escape lounge where Timmy took up his new role of checking the guests into the lounge. After lunch the families had the opportunity to go into the cockpit of a Ryanair plane with the pilot, which Maxwell’s brother was thrilled about as he is learning to fly. 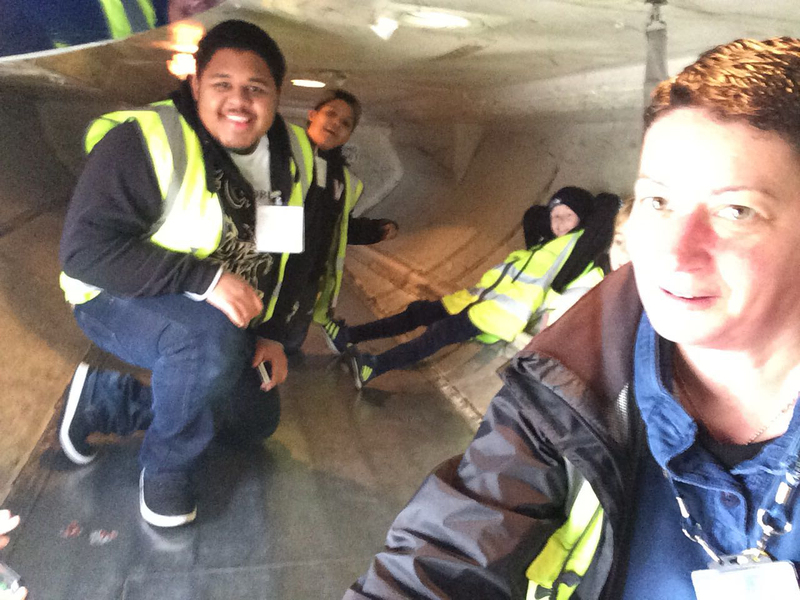 The boys were then able to climb inside the hold of the plane before the next lot of luggage went in! Finally they headed over to the Fire Department where Green Watch made everyone really welcome and let Timmy and Maxwell climb into the Panther Fire Engines – the same sort of vehicle was used in a Transformer Movie which they were thrilled about. Helping to put a fire out was the icing on the cake!